Zoom Video Communications was Named a 2018 Gartner Peer Insights Customers' Choice for Meeting Solutions! Gartner Peer Insights provides reviews and ratings of software and services contributed by enterprise professionals. Contributors share their firsthand experience of vendors and products through the various stages of the IT life cycle, from evaluation through deployment. I would like to receive communications about products and industry trends from Zoom. I understand that I can unsubscribe at any time. * This graphic was published by Gartner, Inc. as part of a larger research document and should be evaluated in the context of the entire document. The Gartner document is available upon request from Zoom Video Communications. The Gartner Peer Insights Logo is a trademark and service mark of Gartner, Inc., and/or its affiliates, and is used herein with permission. All rights reserved. 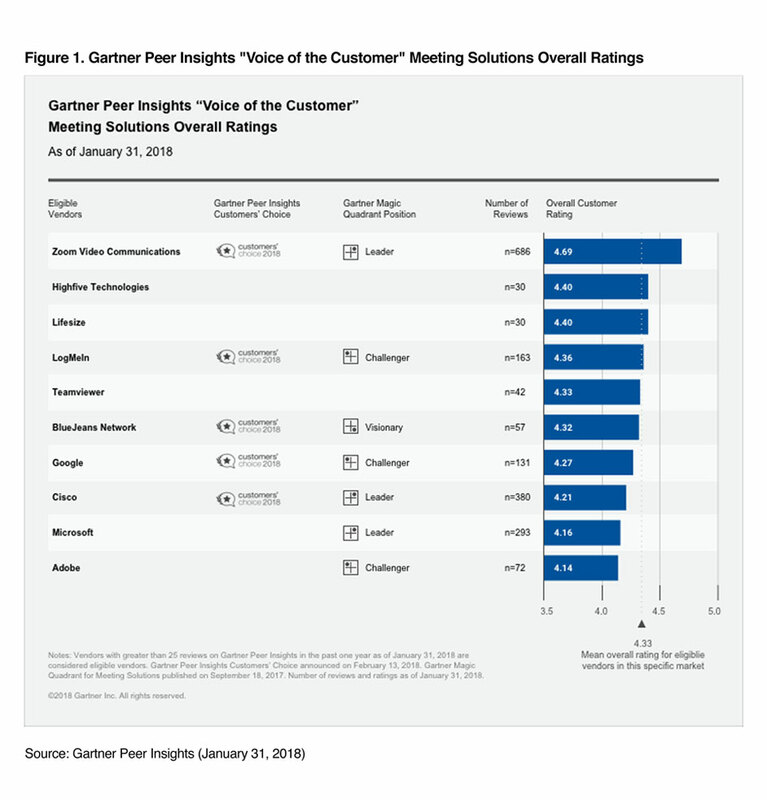 Gartner Peer Insights reviews constitute the subjective opinions of individual end-users based on their own experiences, and do not represent the views of Gartner or its affiliates. 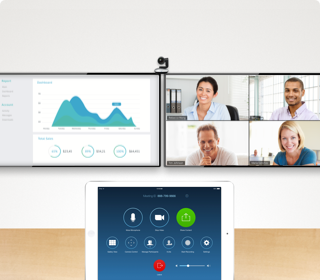 All-in-one solution for video, audio, screen sharing, and messaging across any device. 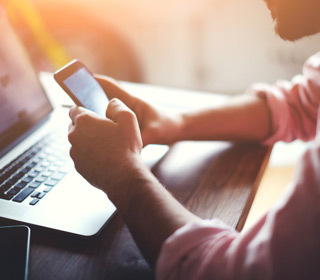 Full mobility with meetings, scheduling, messaging, and screen sharing all from your iOS, Android, or BlackBerry device. 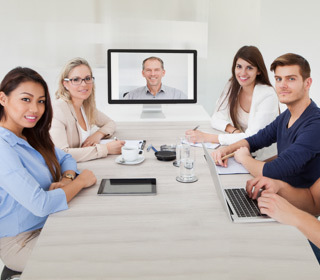 Connect your conference rooms with Zoom Rooms, our software-defined video solution, or with H.323/SIP interoperability.